This will no doubt be high on my final "best of" list for 2017. 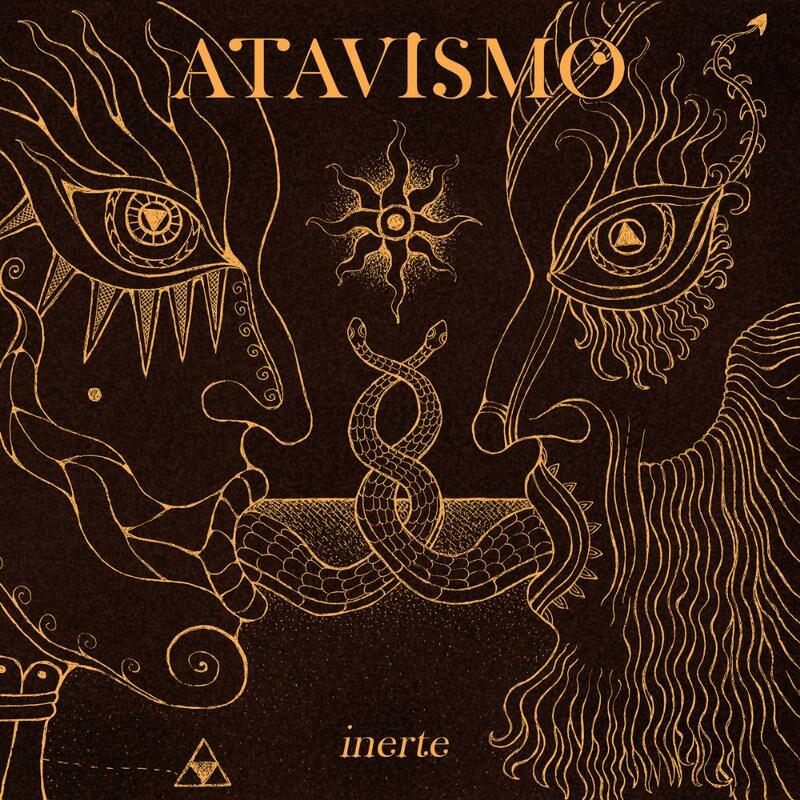 ATAVISMO are a trio out of Spain who play a Psychedelic brand of music. This is album number two for the boys(and girl). So we get a trio of bass, drums and guitar while all three also sing, play farfisa and mellotron. Oh those last two instruments have me drooling. "Pan Y Dolor" is the most Spanish sounding song by far. The strummed guitar and multi-vocals bring that country to mind. It hits the ground running with bass, drums and guitar contrasted with the strummed guitar and multi-vocals I mentioned earlier. It starts to get really good when a calm arrives after 3 1/2 minutes. We get relaxed picked guitar but check out the mellotron choirs when they arrive. Oh my! Drums and bass will join in and the guitar does get quite expressive here as it cries out. More mellotron after 6 minutes. This is so good! Back to that strummed guitar with drums before the guitar starts to make some noise. Vocals and that Spanish sound return before 8 minutes. "El Svendo" is powerful right off the hop with distorted guitar and pounding drums. Vocals join in and they will come and go as the power stays constant. It settles back some before 4 1/2 minutes but the guitar if anything becomes more powerful and the focus. It settles back even more before 6 1/2 minutes and I adore the tone of that guitar as the drums beat away. Back to the earlier guitar tone as he starts to light it up, especially before 9 1/2 minutes. Fantastic! It then turns heavier with distortion. My favourite song. "La Maidicion Del Zisco" opens with distortion as a bass line kicks in followed by a full sound. Love that bass! Vocals before 1 1/2 minutes then some vocal melodies 3 minutes in the bass continues to kill here. Great sound! Vocals are back 4 minutes in. Repetitive riffs kick in around 5 minutes. "Belleza Cuatro" has a slow start of bass and atmosphere and more as reserved vocals arrive before 1 1/2 minutes. Vocal melodies before 3 1/2 minutes but they are brief. When they stop it becomes more powerful. It starts to wind down 5 minutes in. "Volares" opens with heavy drums as synths and female vocal melodies join in. The guitar starts to cry out after a minute. Great sound before 3 minutes, so powerful. It then settles back some as guitar starts to slowly solo over top of the soundscape. So good! Vocals after 4 1/2 minutes and they stop after 6 minutes as distorted guitar comes to the fore. Vocals are back before 7 minutes as the song seems to drift along. More distorted guitar after 8 minutes to the end. Man this seems like it was custom made for me apart from the Spanish bits of the opener. I really like how powerful this is at times, lots of depth to the sound. Just an amazing album from start to finish. Now where can I get their debut?